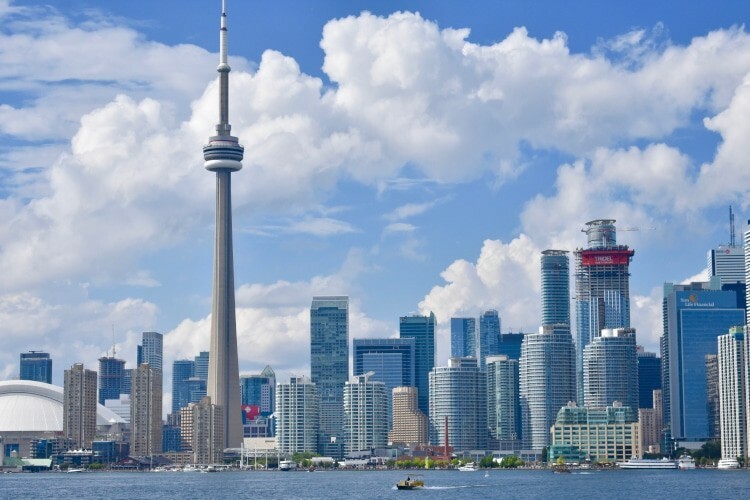 Canada is becoming increasingly popular with expats from all over the world. A wealthy country with a stable society and economy, it has a high standard of living and a welcoming attitude to all different nationalities – key reasons why moving to Canada is a good idea for many expat families. Canadians have a reputation for their politeness, but you’ll find they can be sticklers for rules and quite firm – maybe why ice hockey is such a popular sport. The world’s second largest country after Russia, it’s divided into ten provinces and territories and is bordered by the Atlantic, Pacific, and Arctic oceans. A diverse landscape and climate means some intense winters and summers, but buildings and infrastructure have been built with extreme weather in mind. For lovers of the outdoors and nature it’s a true haven, but also has modern cultural centres. If you’re moving to Canada for work, with a family, or moving to Canada alone, cities like Vancouver, Toronto, and Quebec all have global reputations for strong industries and lifestyles suitable for everyone. Not sure what to expect when moving to Canada? We hope this guide helps you get prepared. Citizens of some countries, including the US, UK, Australia, New Zealand, and a handful of European countries, can visit Canada visa-free for up to six months on a valid passport. Citizens from other countries will need to obtain a visa. There are so many categories for visa application that can make the process look overwhelming, but there are some helpful tips on the Canada Welcomes You website and the Canadian government website has plenty of information in their Immigration section. If you have questions you can always get in touch with your local embassy. If you’re a foreign national moving to Canada to work, you’ll need a temporary work permit or residence permit to work in Canada. A residence permit will allow you to stay permanently (or at least on a long-term basis) in the country, and are often granted on a skills basis or for those who could be an advantage to the economy. Work permits are temporary, more focused on specific jobs, and don’t offer all the rights of a permanent visa. In most instances you’ll need to apply for a work permit while you’re still out of the country, and it’s a good idea to start the process as soon as possible. For a work permit, you’ll need to have a job offer already – find out more information about the process here. The Working Holiday Visa is another option and, unlike most countries’ WHV, moving to Canada over 30 years is still possible! If you’re between the ages of 18 and 35 moving to Canada for a year or two is feasible on this visa, whether you have a job offer or not. If your family is moving to Canada visa and permission requirements are required. If you’re planning to immigrate, you’ll most likely be able to apply for visas for your spouse and children to move over with you. There are also options for those who want to visit family or study in Canada, with plenty of information on the government website. When you’re moving to Canada customs will require you to declare all animal, plant, and food items. Depending on whether you’re coming from the USA or another country, there will be restrictions on what you’re allowed to bring in. Most restricted items are standard like firearms and weapons, explosives, and plant and animal products, but some consumer items that might pose a danger to the public are on the list too (including the deadliest instrument of all, baby walkers). The Canada Border Insurance Agency outlines laws around importation and exportation around importation and exportation and also has a helpful guide for visitors. The service sector is a major contributor to Canada’s economy, including retail, professional services, financial services, scientific and technical, and healthcare. Canada also has a huge primary sector and takes advantage of the country’s broad natural resources, particularly oil and logging. Manufacture is another cornerstone (aircraft and cars). As always, if you’re looking for work in a particular industry, it’s worth investigating by city. Toronto is the heart of the stock exchange, making it a thriving financial and commercial sector. With its strategic ties to East Asia, Vancouver has a reputation for its commercial and business sectors. Ottawa has a strong foundation in technology. According to Statistics Canada, the average salary was on the rise in 2017. The average employee was earning about $986 a week, just over $51,000 a year. The top three industries by incomes were finance, professional, scientific and technical services, and public administration. And the location with the best income? Alberta. There’s a bit of competition for expats seeking jobs in Canada, especially if you’re looking before you leave and trying to land a job offer. The government website has some useful tips and suggest Job Bank and Jobs.gc.ca as good places to begin your search. LinkedIn, Indeed, and Monster Jobs are also good job boards. If you’re having trouble finding a job remotely, you could always consider making use of a tourist visa to continue your hunt in Canada, although most companies are willing to do video link interviews. Another great resource is the Moving 2 Canada’s page about jobs, which includes tips about preparing your CV in the Canadian format. If you’re feeling selective or just curious, you could check out the top-ranked 100 employers. There are two official languages, English and French, reflecting the country’s colonial roots back to the 15th century. Quebec French is its own version of the language, with similar variants spoken in other regions of the country. Other major languages include Chinese, Punjabi, and Spanish, reflecting the diverse population of Canada. While it can be expensive to live in Canada, it often comes down to where you decide to base yourself and you can live a very comfortable lifestyle for a relatively affordable price. British Columbia has the most expensive cities to live in, including Vancouver, Toronto, and Victoria. A cost of living survey by Mercer found Vancouver to be the most expensive city in Canada but it still ranks at just 107th in the world so for expats seeking work it may not be comparatively too costly. If you’re moving back to Canada from Hong Kong, Singapore, or other economic centres for example, you’ll probably find it less expensive (as well as a different lifestyle). The average household expenditure in 2016 was $84,489. Numbeo is a great tool for breaking down average costs, and for comparing the cost of your home country to the city you’d like to move to. With a relatively stable and wealthy economy, Canadian currency can be a good investment. The Canadian dollar will buy you roughly USD$0.79, SGD$1.06, and HKD$6.2. The latest exchange rates are available on XE. If you’re trying to do anything like take out a loan or get a credit card, a lack of credit history in Canada could be a temporary barrier when you first arrive. You may like to apply for an American Express card before you leave your home country. You could also look for banks and cards like Amex that have international transfer systems. Canada has secure and reliable banking system, with both traditional banks and credit unions. The five big banks are the Royal Bank of Canada, Bombay Mercantile Co-operative, Scotiabank, the Canadian Imperial Bank of Commerce, and TD Bank. There are also plenty of international and affiliate banks, so you may like to talk with your current bank before making a decision just in case they can help you. There’s often a charge to bank services, although many do offer your first year free. You might also like to consider what interest rates are like and how good their online services are. You can do a little groundwork to compare deals here. This federal insurance programme provides temporary income support to eligible unemployed people – including maternity and parental benefits, compassionate care, and benefits for people who are self-employed. If you’re self-employed you can opt in, and if you’ve paid your premiums and meet other requirements you can be eligible as a worker. Details are available on the government website. Banks usually offer quite competitive rates for international transfers, but shop around. In some cases the companies that do it for a day job – XE, TransferWise, and others – might have a better deal. Federal income tax brackets range from 15% up to 33%. There will also be other taxes to pay set at a provincial or territorial level. You can find out more about income tax, including how to pay, on the government’s section on tax. Canada also has a Pension Plan that you may be able to participate in. If you’re a Canadian moving back to Canada will need to consider what taxes they may be due to pay in relation to overseas income or assets. You’ll need a Social Insurance Number or Tax Identification Number to file a tax return. You can apply for a SIN in person or by mail. Leave yourself plenty of time before you move to Canada to plan where you want to live. It’s a massive country and even some of the cities are huge, so knowing what your priorities are and what you’re willing to compromise on is important. Think about seasonal climates, location, transport, nearby schools, rates, and the cost of living. Research the region and neighbourhoods you’re considering. Moving to Canada alone is going to be different from moving with a family, so factor in your own circumstances. The most expensive location is going to be in a city centre – a downtown apartment in Toronto and Vancouver is likely to be the most expensive choice. Houses in smaller towns or outside of the main centres will be more affordable, but you may want to think about commuting costs and time. Mostly you’ll be looking at apartments or, outside of the downtown areas, small houses. Canadian architects are great at designing buildings to keep in the warmth during those freezing winters, and temperature control systems will also keep you cool in hot summers, so you can expect to be living in comfortable accommodation. Costs for heating in winter and air conditioning in the summer can still be quite high, so you could be spending an estimated 35% to 50% on your rent and utilities. Renting is popular with a lot of expats. Some properties, especially apartments in larger complexes, are likely to have a property manager or superintendent who manages the process and collects rent, but you may also rent directly from the landlord. There are some variations in law around renting between territories and provinces, so you may want to check the specific rules for where you’re looking – the Canada Mortgage Housing Corporation is a great resource. Before you move in you’ll need to sign a lease as a formal rental agreement, outlining the responsibilities of tenant and landlord. Make sure you know any rules and instructions around things like laundry, mail collection, garbage and recycling, and parking (especially if you’re in an apartment building). Some utilities may already be connected and will simply need to be shifted into your name, unless this is managed by the landlord. Most landlords will request a deposit when you move in, usually a percentage of the rent, which will be returned when you move out if there are no disputes. Be sure to know what the requirements are around giving notice if you move out – if you don’t give appropriate notice, you may need to pay an amount set by the law in your province or territory. Owning your own house can be expensive. The average price in 2017 sat at $479,000 overall, but it always depends where you’re looking. In Vancouver you could spend $1,030,000 or more. You also need to consider the upkeep of your house in a country like Canada, where weather conditions can vary and be quite extreme. In most cases you can buy property in Canada even as a foreign national, as long as you have the funds or are able to take out a mortgage. Usually a down payment of 35% is required and to get a mortgage you’ll need proof of your income. Keep in mind that as of April 2017 you may be subject to a Non-Resident Speculation tax, which comes to 15% of the purchase price of your house. If you decide to work with a realtor, pick someone who’s experienced in the ins and outs of foreign purchases. If you want to make sure your new place is tidy and organised before you arrive, or if there’s some extra work to do on the place, Links may be able to help you with a maid service or a handy man. We can help make sure your new home is ready for you. Canada is a well-connected country. 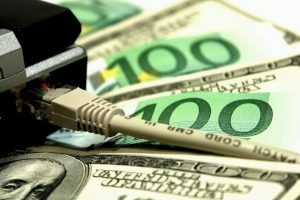 When you’re signing up for broadband internet, you’ll have plenty of choice when it comes to plans and prices. Some companies even offer no contract plans. In terms of the big companies, you could look at Altima Telecom, Distrobunet, Heronet, Worldline, and Rogers. PC Mag did a review of the companies with top speeds over a year and found that Rogers took the lead. Before you start looking, think about what you want – including if you want a landline or maybe have a mobile deal. Compare My Rates is a great website for comparing pretty much any service, and Find Internet is focused just on finding the best internet deal to suit you. Mobile phones in Canada use the same service as the USA, but they’re different from everywhere else in the world. If you’re bringing your own phone across you may want to double check whether you can use it, because if it’s compatible it could be as simple as popping in a new SIM card. International roaming costs can be expensive so you’ll want to get a Canadian phone number as soon as possible. For comparisons, try the http://www.comparecellular.ca/Compare Cellular website. Rogers, Bell, and Telus offer some good value for money deals and may also have bundle packages if you’re after internet and a landline. If you’re moving to Canada for work, it’s possible your employer may have a deal so check in with them first. Gas, electricity, and water are usually established when you move into a property that’s been lived in before. You’ll just need to get in touch with the companies and let them know your details for them to shift across the accounts and, if necessary, reactivate the connections. If you need to set up from scratch you can find all listings in the Yellow Pages online. Energy Rates allows you to compare prices for your area. It normally takes 24 hours to set up utilities, so even if you don’t arrange it before you move in you can expect your lights to be on quickly. Most houses have meters to record usage and monitor when consumption takes place. One useful moving in tip: utility tariffs can vary depending on the time of day and time of year, so find out the best times of day. Canada Post has all the services you’d expect. It does have a bit of a reputation for being unreliable and sometimes letters can longer than expected to arrive. At the same time, a lot of people say it’s great. If you need a faster delivery, you can find a range of courier services just by using Google. There are between 180 and 190 days in the Canadian school year, starting in September after Labour Day and running to the end of June. School is compulsory up to the age of 16. Education standards are high and there’s an impressive range of schooling options available for expat children. For expats with children, it’s one reason why moving to Canada is a good idea! Rather than a national schooling system, individual provinces and territories have responsibility for managing schools. This means a slight variation in curriculum, school evaluation, language, and other aspects of education. There are both public and private schools in the country. The Fraser Institute holds information about schools’ academic performances, and you can use their online tool to compare the schools you are considering for your child. Public schools are free to attend, including for expat students who hold a residence permit, but if your child doesn’t have one there will be a fee. Usually this is between $8,000 and $14,000. Private schools are also an option and these always have a cost. Some are subsidised by the government and can cost as little as $4,000 a year (depending on your child’s status) while others can be $40,000 annually. 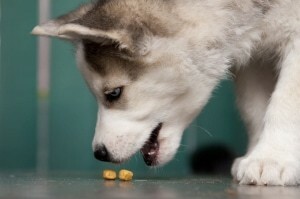 Cats and dogs coming into Canada may need a microchip, vaccinations, and a health certificate. Rabbits, ferrets, and some birds also have regulations them and may need to pass a health inspection. Make sure you know the rules before you get your heart set on moving to Canada with pets. And keep in mind the weather and the predators! Most cats in Canada are indoor cats because the freezing winters, eagles, and pumas can be a bit too much of a risk. Not that there are eagles and pumas lurking around every corner, but it does pay to be careful. If you do want to introduce your animal friend to a comfortable Canadian lifestyle, Links can help you get them over with our Pet Relocation Service. Good news! Canada’s public transport is efficient, high-capacity, and has a range of options for getting you from one end of the country to the other. VIA Rail http://www.viarail.ca/en operate national passenger rail services and link with most major cities as well as hundreds of smaller towns. Rail has been around for a long time in Canada so they know how to do it well. You can expect a comfortable journey (with possible group discounts), although most Canadians only take longer journey occasionally. There are about 400 airports in the country (13 of which are international) and air transport can be a good way to get around, especially for business trips. Regional and local busses also connect Canada, and Greyhound Canada is the major national bus service. With the world’s longest coastline and a ridiculous number of lakes, public transport also includes a range of ferry and boat options. Within cities and larger towns, public transport is often good. Most bigger cities have at least a good bus system and Toronto, Montreal, and Vancouver all have a subway. Taxis are also in operation, often local companies, and the expected tip is generally 10 to 15 percent. In some parts of Canada, it could be several kilometres to the supermarket or even your neighbour’s house. That could be in searing heat, driving rain, or more snow than you know what to do with. Cars are very popular. If you’re planning on buying one, the first thing to consider is what you want to use your car for and where you live. If you’re the adventurous type or are going to be driving in icy conditions in the winter, you need a vehicle to deal with that. Before you can legally drive, you will need to insure, register, and license your car. You can buy new and used cars in Canada and may be able to get a good deal, given that automobile manufacture is one of the country’s mainstays. However, you may also be able to import your own car – and if you do, Links can help with the car importation. And if you want your own private transport but aren’t so much into cars, here are also several dedicated biking routes in many areas, including major cities like Vancouver, Calgary, and Toronto.